All secular regimes in Muslim countries in particular are experiencing the challenge from the "Islamic state" in Syria and Iraq. In this context Post-Soviet Central Asia has traditionally been one of the most crisis areas in the region. The newly independent states which emerged there are characterized by a large set of non-traditional security threats and challenges. Low commodity prices, the economic crisis aggravated by virtue of reciprocal sanctions imposed by Russia and the West have further escalated the problems. 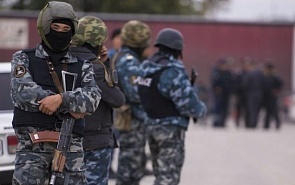 Will the secular Central Asian states stand under the pressure of these problems? What resources do they have for the corresponding confrontation? The answer is contained in the article suggested to your attention. Nowadays, the rise of threats to security coming from terrorism and religious extremism is spreading all over the world.